Rooted in a strong knowledge of New England viniculture, French winemaking techniques and modern design, our experienced Vineyard Team has curated a portfolio of small production, estate-based wines that are distinctly Saltwater Farm Vineyard. Lively notes of lime zest balanced by clean minerality. Incredibly playful on the palate. Exotic fruit finish with just a hint of white pepper. Aged in stainless steel tanks. Clean and vibrant with notes of citrus fruit and crisp granny smith apple. Untethered from oak, there is an essence of Stonington’s terrior: minerals, wet rocks and seashells. Lightly oaked with a rich palette of vanilla bean and toasted caramel while maintaining its citrus quality inherent to the chardonnay grape. Serve slightly closer to room temperature for optimal flavor. Made from Cabernet Franc grapes, this dry French-style rosé has a distinctive salmon hue. Remarkably easy to drink, soft notes of rose hip, hibiscus and stone fruit are complimented by a hint of sweet bell pepper and flint. Charming and aromatic… this fragrant red wine is flirtatious with a presense of violets, rich blackberries, and hints of espresso bean, cardamom, tabacco leaf and cracked pepper. Our take on a the classic Bordeaux blend – 60% Cab Franc and 40% Merlot. Flavors of black cherry, cassis and currant are rounded out and finessed by the smooth sophistication offered by the Merlot. This young wine has aging potential. Smooth, light-bodied with a wonderful mouthfeel, with notes of blackberries, plump plum, clove and smoke. the newest edition to our wine portfolio. this young red wine is ready to enjoy now or let age for several years. 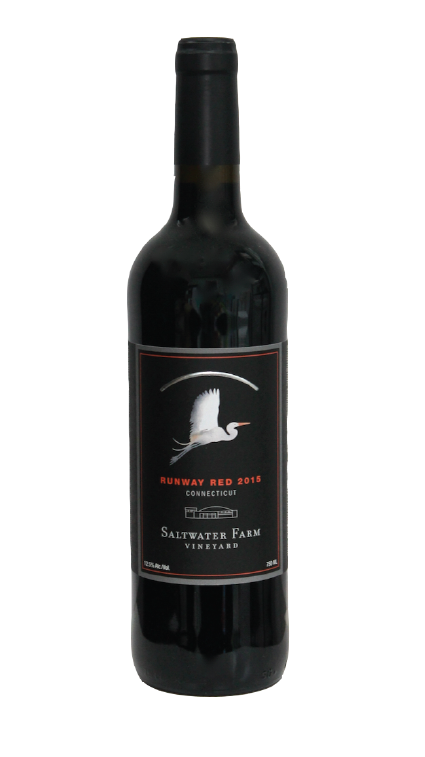 a blend of red varieties grown on property with grapes from the north fork of long island. bright and juicy, it displays notes of red fruit and berries. aged in french oak. With 30 years of national and international experience, an accomplished scientific background and a distinctive artistic talent, award winning winemaker Gilles Martin blends in his wine creations the classic refinements of old world tradition with the adventurous passion of new world innovation. Born at the gates of the Champagne region, Gilles headed to the South of France in the Languedoc wine region to obtain an engineering degree in biology and food sciences as well as a prestigious Masters of Oenology from the University of Montpellier. His 1986 Master thesis on the technology of wine ultra-filtration won national acclaim and a first prize, awarded in person, by former France president Jacques Chirac. Eager for fresh adventures and inspiration, the new graduate Gilles traveled the wine world from Germany, where he worked at Weingut Hans Land winery in the Rheingau, to Australia for harvest at the renowned Houghton winery. In 1988, he landed on the coast of Virginia where he began training his palate to the exiting challenges of East Coast wine making. Moving west, Gilles was from 1990 to 1996 the assistant winemaker of the much celebrated California Roederer Estate winery, where he produced wines unanimously hailed by the press as “the best sparkling wines ever made outside the Champagne area”. He then returned briefly to his native France to craft for Delas-Frères in the Rhone Valley, critically acclaimed Viognier and Syrah wines. It was romantic love and his everlasting taste for innovative viticultural exploration that brought Gilles back in 1997 to the Long Island shores and the newly growing East End wine region. After overseeing the birth of three now well established wineries, Macari, Martha Clara and Sherwood house, he enthusiastically returned to his favorite area of excellence and expertise, the creation of distinctive, classy, elegant yet easygoing sparkling wines. Gilles currently lives on the North fork of Long Island with his two children and wife, an MIT graduate and university professor. He has been serving as a community adviser for the Brookhaven National Laboratory since 2006.